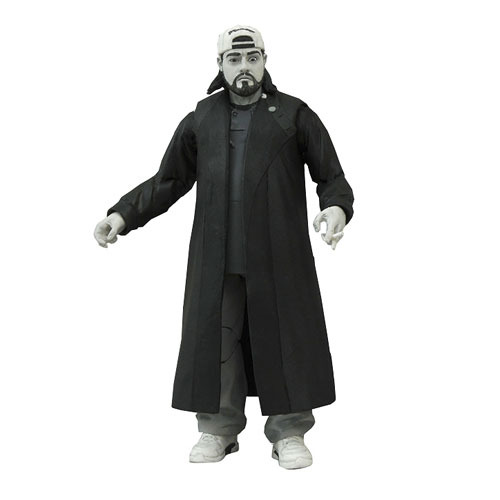 Shopping for Clerks Action Figures? We assure you - this toy line is open! The line of Select action figures based on Kevin Smith's classic film,Clerks, continues with RST Video employee Randal Graves. Randal Graves is a 7-inch scale action figure captured in the film's famous black-and-white palette, and includes film-accurate accessories, as well as a diorama base that can be used to re-create the exterior and interior of RST Video. Complete the shopping center diorama started by Dante and Jay (each sold separately)! Sculpted by Patrick Piggott, and packaged in Select-style display packaging, with spine artwork.